Pre-registration for Tales of Wind opens! Now Tales of Wind is officially up for pre-registration! 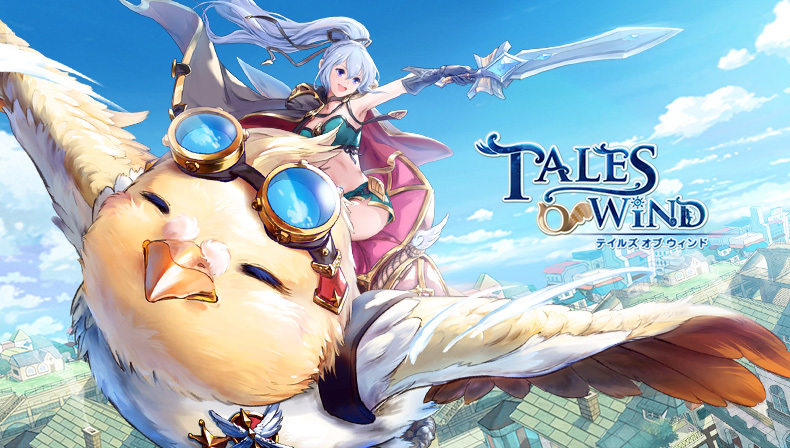 Tales of Wind is An action MMO RPG with cute characters and soothing experience. In this world, you can customize yourself with tons of outfits, capture and travel with cute pets and mounts. In Tales of Wind, you can defeat powerful monsters and seal them in soul Cards which grant you superior power. Remember, Play Tales of Wind with your friends, you can explore a vast world for great loots and precious with them, real-time PVE gameplay requires good Co-op! Come and join us to challenge players around the world, use strategy to defeat your rivals. For further information about the pre-registration and the game itself, you can visit Tales of wind’s website. What are you waiting for, come and pre-register Now! NEOCRAFT is a listed dark horse gaming company with market value over 1.5 billion RMB. Being headquartered in Shanghai China, we gather the greatest team to make fun games with heart. Headed by the founder of Blizzard China, NEOCRAFT builds its elite team with members from Apple, UbiSoft, NetEase, Tencent and other well-known companies such as McKinsey and Coca-Cola. We specialize in strongly interactive, long life-cycle MMOs and multiplayer competitive games. Our new product Ever Adventure has been selected by Tencent Aurora Project and will be launched in the near future.